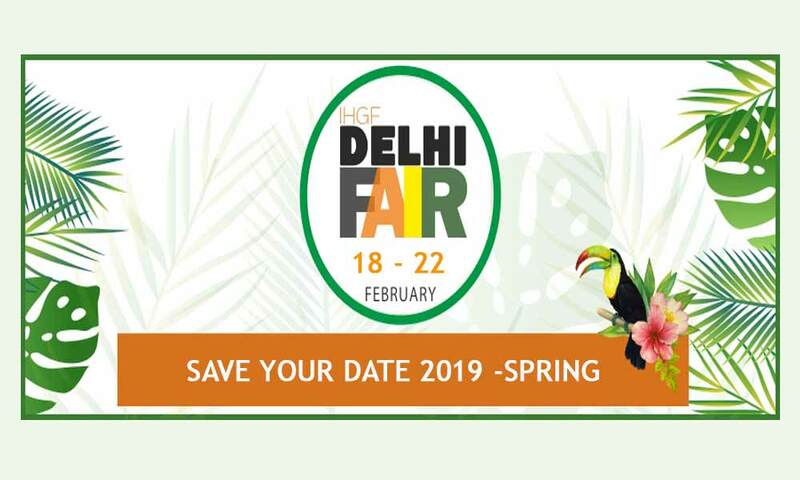 IHGF Delhi Fair Spring 2019 will be held from 18th to 22nd February 2019 at India Exposition Mart Ltd, Uttar Pradesh. Export Promotion Council for Handicrafts (EPCH) is organizing Asia’s largest gifts & handicrafts fair, IHGF which will be held biannually. This event will host with 10000 member exporters is engaged in trade promotion of handicrafts exports from India. This event will live from 18th to 22nd February 2019 at Noida. IHGF Spring Fair 2019 has been the hallmark for the growth of the Indian handicrafts sector for over 25 years. The most significant and distinct sourcing platform in Asia –(IHGF Delhi Fair Spring 2019), now gets bigger & bolder, bringing you much more of everything – more space, more exhibitors, more sectors, more enhanced facilities, more days and of course, bringing you a thoughtfully re-conceptualized & renewed IHGF Delhi Fair Spring 2019 with 14 clear product categories in enriched display spaces. You can send your queries at 911126135256 or software@epch.com.